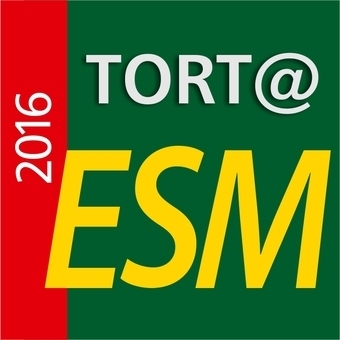 Professor Rami Abboud and Dr Graham Arnold from the Institute of Motion Analysis at the TORT Centre attended this year’s Expert Scientific Meeting (ESM), 27th to 30th July 2016. The international congress was hosted by Professor António Prieto Veloso at the Faculty of Human Kinetics, University of Lisbon, Portugal. This biennial meeting, sponsored by www.Novel.de, combined two days of scientific presentations, educational courses and workshops and a networking day and finally a banquet and awards ceremony. The meeting boasted an exciting scientific program covering the full range of interests of dynamic load distribution, biomechanics and pressure analysis. In addition to keynote addresses given by five keynote speakers, there were six scientific podium sessions with 40 presentations, a poster session, and two special sessions. The program also included specially invited talks. Professor Abboud chaired the second session on Diabetes and was one of ten eminent international scientists to act as judges for the prestigious Novel Award with a prize of €5000. Left: the transport; Right: the venue. “It is always a pleasure attending the ESM when we can to meet, exchange ideas and discuss collaborations with fellow scientists and clinicians whom are working within a similar IMAR environment” stated Professor Abboud. “It was not long ago when I hosted the event at IMAR and the University of Dundee in 2008 where we received delegates from over 15 countries. ESM is more like a big family reunion of “pressure” experts who are still keen to explore the many hidden aspects of biomechanics and pressure/motion analysis”. Left: Research poster presentations; Right: Professor Abboud chairing an oral podium session. The art in science® Award for load distribution measurement research was presented to Licia Pazzoto Cacciari (PhD student, University of Sao Paulo, Brazil) for the best scientific manuscript and innovatice research in the field of load distribution measurement; Licia and co-authors received a prize of EUR 5,000. “This was an outstanding paper and the presentation was equally as impressive. The project was innovative and was only conceived during the last ESM in 2014. A new device was designed and tested on women to assess the multidimensional load distribution in the vaginal canal in Pompoir practitioners using a biomechanical intravaginal 10x10 matrix sensors”, stated Professor Abboud. “The decision was unanimous by the whole Committee. Professor Sacco’s team took the Brazilian’s initiative of Science without Borders (SwB) quite literally and performed this project which was truly a scientific piece of research without “borders or inhibition” and pushed all boundaries to produce an outstanding result that will have many uses in the clinical and surgical environments and for that my heartfelt congratulations go to the whole team”, added Professor Abboud. Prizes were also given for the best presentation, best poster and the most promising proposal at the conference for an idea that has to be fulfilled for ESM2018.